For some reason I felt super great today. Like birds practically dressed me this morning. I even went to work and was like pretty okay with the whole thing. Which is very rare since I have lately had the enthusiasm a quite uninterested ball of yarn. 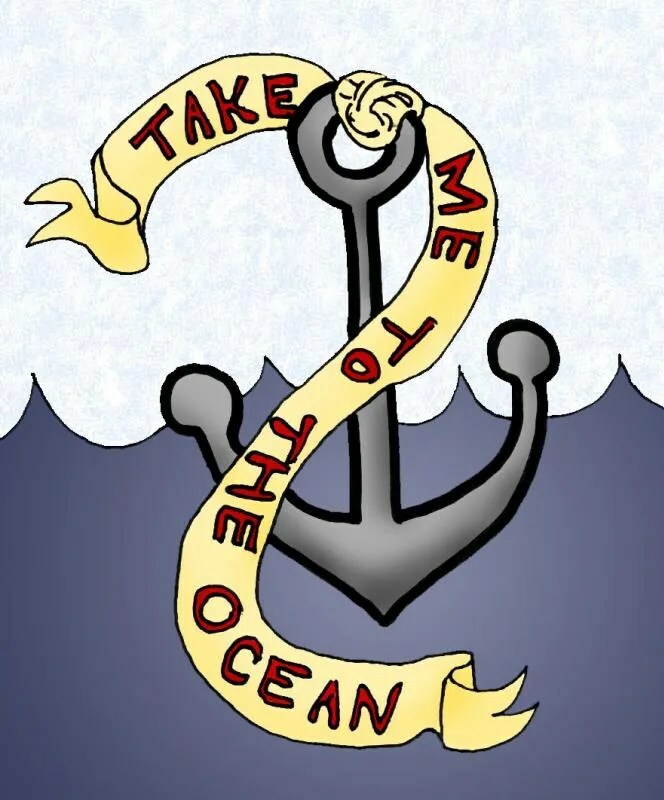 Anyways Today’s doodle is an anchor… maybe because of my mermaid dreams… or maybe because I really want to go to the beach. Think about the ocean today… I swear it’s thought about you. I love this, Lauren! If I lived close enough, I would be at the ocean every day, no matter the season. I’d be the crazy lady you see swimming in the Pacific in the middle of January! I am the girl who’s there with a hoodie and sits on a towel in the sand with a sketchbook and just draws… I prefer to sit on rocks, but I don’t always get a rocky beach. I usually just chat idly with other beach patrons and sometimes they tell me a great story! You felt like birds dressed you? So you were a Disney princess? Sorry, I’m a guy and we sometimes get…. well, you know. …I didn’t realize my morning could sound so exciting. Every day brings a new revelation, my lovely friend – if you’re open to it. Hope this day leaves you feeling amazing! I hope you enjoyed the song even though it washed all your thoughts away.